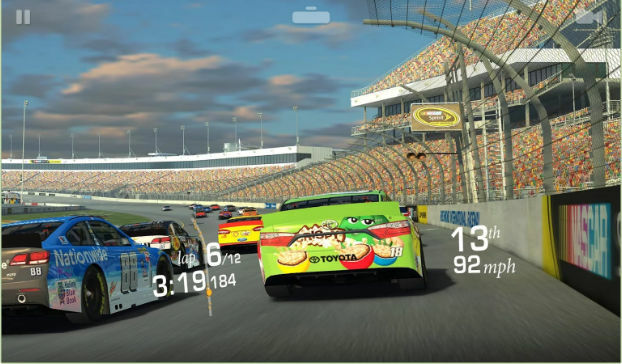 Car racing is one of the most popular categories of games on the Play Store. These games are fun to play because they allow us to drive a car at great speed. They also enable us to customize cars. Google Play Store has a listing of over 1000 car racing games. Some car games were launched way back in 2010 but they are yet to cross 1000 downloads. The reason why many people haven’t played these games is obvious. The games are annoying and have dull graphics. 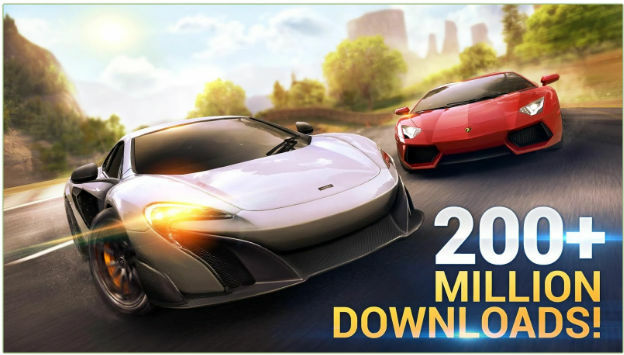 Instead of wasting WiFi or mobile phone data in downloading a crap game, download one of the Android car racing games we have shared in this article. The games we’ve covered have excellent 3D graphics. Will the games freeze your mobile device? Modern mobile phones introduced these days have powerful GPU, HD display, and processor. Hence, the car games won’t freeze or stop unexpectedly. 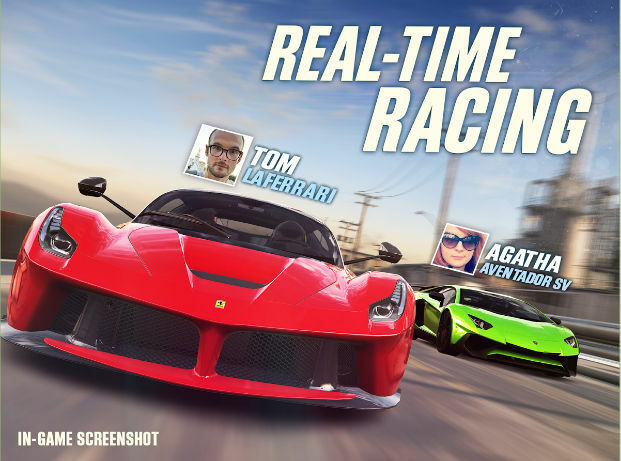 Real Racing 3 game was published on the Google Play Store in 2013. Within 4 years, the game has registered 200 million downloads. In other words, it’s a massive hit for EA sports. Real Racing 3 has mind-blowing graphics and 130+ cars with powerful features. The game lets you exercise your driving skills in one of the 30+ tracks located in 15+ countries. It allows you to upgrade your car’s specifications with coins. It provides driver assists feature through which you can turn on/off the manual or automatic acceleration, braking, and steering system. If you want full control over the car, disable driver assists feature completely. You can use this feature if you don’t want the car to smash with obstacles. Real Racing 3 features a settings panel through which you can adjust game volume, resolution, etc. It has a profile section where you can enter your information and see your accomplishments. Real Racing 3 has many interesting levels. It lets you compete with AI controlled cars or other users. To race against other users, you must enable data connection on your phone. The game is large. Hence, make sure that your device has at least 1500 MB free space before you hit the play store to download it. Asphalt 8 is an arcade style action-packed car game developed by Gameloft, one of the leading mobile phone game development companies. The game has amazing 3D graphics and stunning animations. It has an excellent background music and sensational soundtracks that suit the gameplay. The game has 5+ environments. It features several cars categorized into five different classes i.e. D, B, C, A, S. Category S includes the most expensive and powerful cars. To buy the cars, you’ll have to earn virtual money by completing tasks, collecting fuels, and performing stunts with cars in category D.
Asphalt 8 Airborne has several single and multiplayer missions. It has many interesting game modes too. The game has intuitive controls. On the game’s main interface, you’ll find a HUD and 3 buttons to apply the brake, control the steering, and turn on/off nitro boost. By default, the computer controls the speed of the car. To enable manual acceleration, open the control settings interface. Asphalt Airborne allows you to compete with other online players. You can also play the game with friends over a WiFi connection. The game has heavy graphics and its size is about 1300 MB. It is one of the few racing games that you can play for several hours without getting bored. 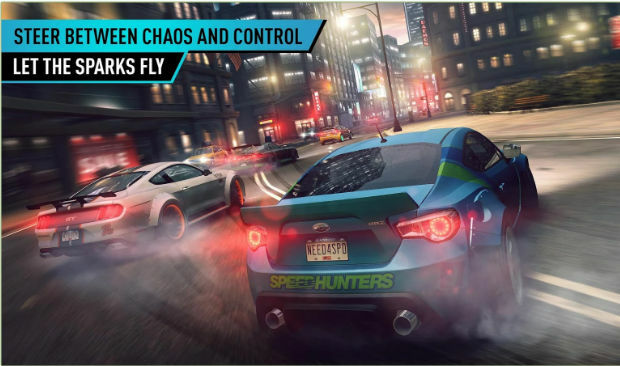 The Android version of the immensely popular NFS game is as interesting as its desktop edition. NFS is a highly entertaining game as it features fast cars, nice graphics, and detailed racing tracks. The NFS game allows users to customize their cars up to a great extent. It enables you to participate in 850+ underground races. Like other car games for Android, NFS doesn’t have a great storyline line. BTW, who cares about the storyline when you get an opportunity to control BMW M4, Porsche 911, etc? Need for Speed No Limits has impressive graphics and beautiful background music. The speed of the cars in this game is controlled by AI. You have to control to orientation by tapping on the left or right side of the screen. The game doesn’t have a steering wheel controller. CSR is a drag racing game for Android with a large user base. According to the developer NaturalMotionGames, CSR game is being played by 120+ million people across the world. CSR has visually stunning 3D graphics and highly detailed racing environments. When it comes to cars, CSR provides 99+ cars equipped with Nitro Boost system. Like other games we’ve covered in this article, CSR Racing enables users to upgrade or customize their cars. The game also allows users to buy or sell cars. It supports multiplayer mode and has a leaderboard module. After the massive success of the Hill Climb Racing car game, Fingersoft introduced the game’s successor on the Google Play Store. The HCR 2 game offers better graphics and animations as compared to its prequel. It has new vehicles. It provides an option to change vehicle’s color and upgrade its engine, grip, suspension system, roll cage with coins. The most interesting feature of HCR2 is that it supports multiplayer mode. The multiplayer mode makes the game more challenging and addictive. It is active when your phone is connected to the internet. If the internet connection isn’t available, you can play the game in adventure mode. This mode is similar to the first game in the series. The gameplay and objectives of the latest game from Fingersoft are same as the game’s earlier edition. 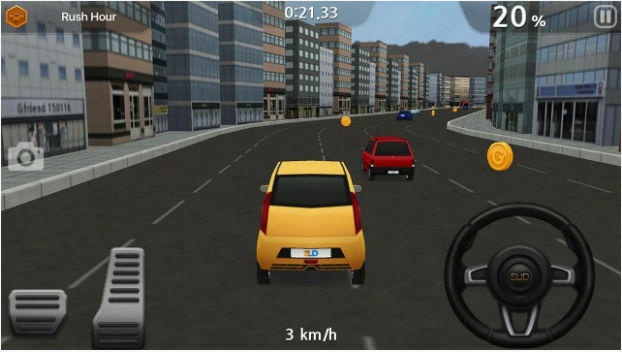 DD2 is the sequel to the popular Dr. Driving game for Android. The game has simple graphics and it takes about 25 MB storage memory. 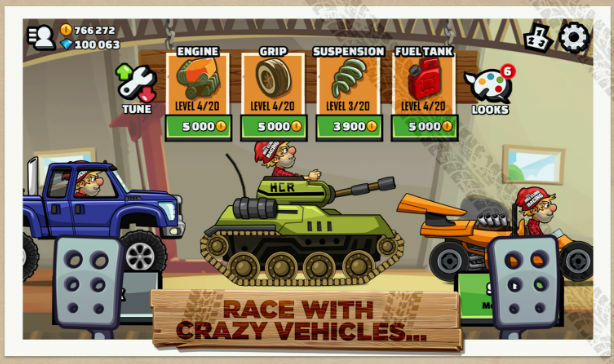 DD2 has several interesting game modes and different cars. Most cars are locked. You have to unlock them by playing DD2. Doctor Driving 2 tests your driving and car parking skills in cities, small towns and on highways. It rewards you with coins for every 10 meters you drive. If you find coins on the roads, you’ve to collect them with the car. Once you’ve collected enough coins, you can buy a new car or upgrade the car’s engine, suspension, and other modules. DD2 lets you play multiplayer driving games. It requires the latest version of the Google Play Games app.